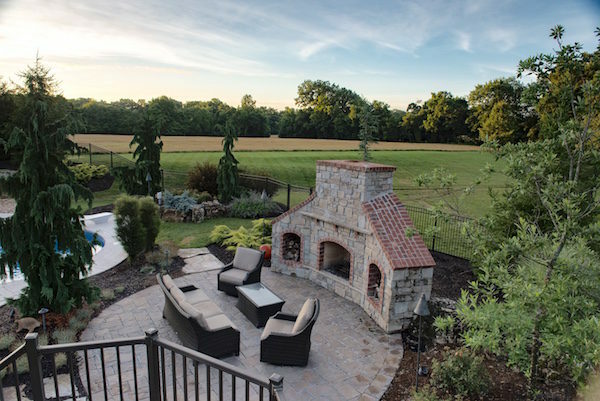 (St. Louis, MO, April 12, 2019) – Frisella Nursery is proud to announce it has been awarded “Outdoor Living Space of the Year” by the Home Builder’s Association of St. Louis. 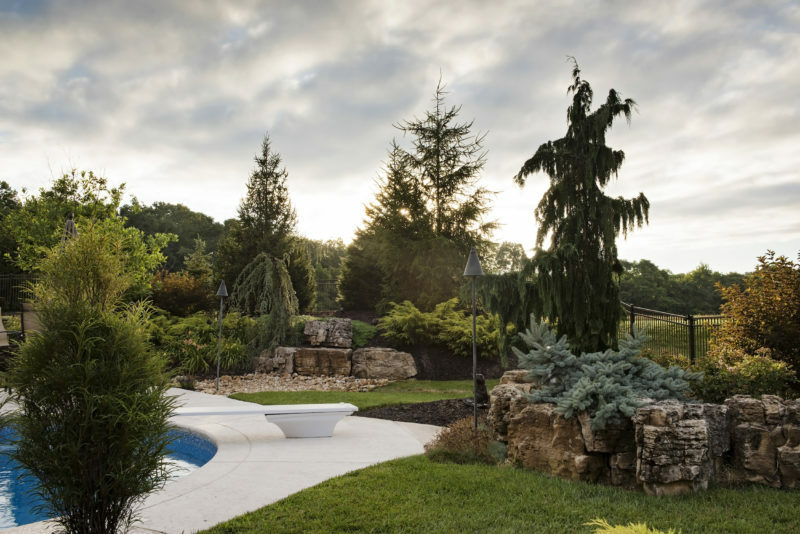 This Defiance residence offered the full-service landscape design and build firm a blank slate with a couple of potential challenges. The designer would need to incorporate a drainage solution for this crater-like, but mostly flat space as well as work with the pool developers throughout the process. 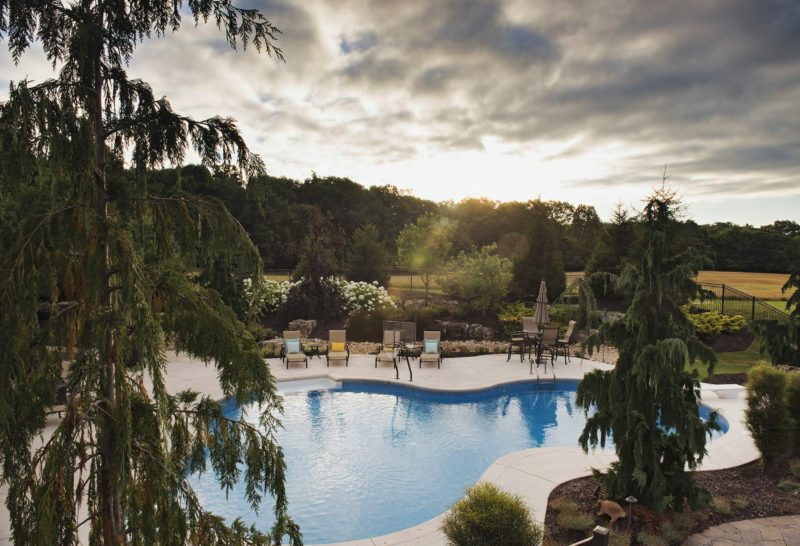 He also had to incorporate a detour for the client’s dogs so as not to interrupt the newly planted landscaping and pool surround at the client’s request. 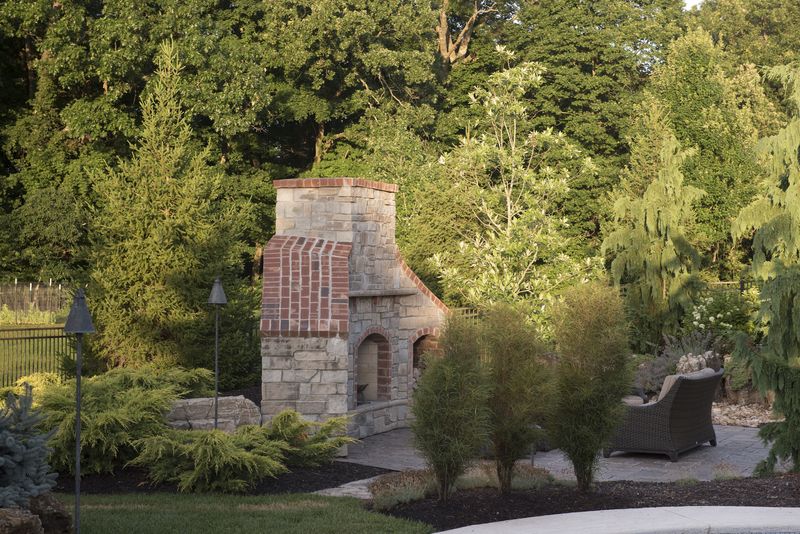 Tony Frisella Jr. designed a beautiful outdoor living space complete with a custom stone outdoor fireplace and custom outdoor kitchen. The deck was given a split staircase to accommodate the dogs, and a specimen weeping cedar was placed nearby to draw the eye to its beauty. 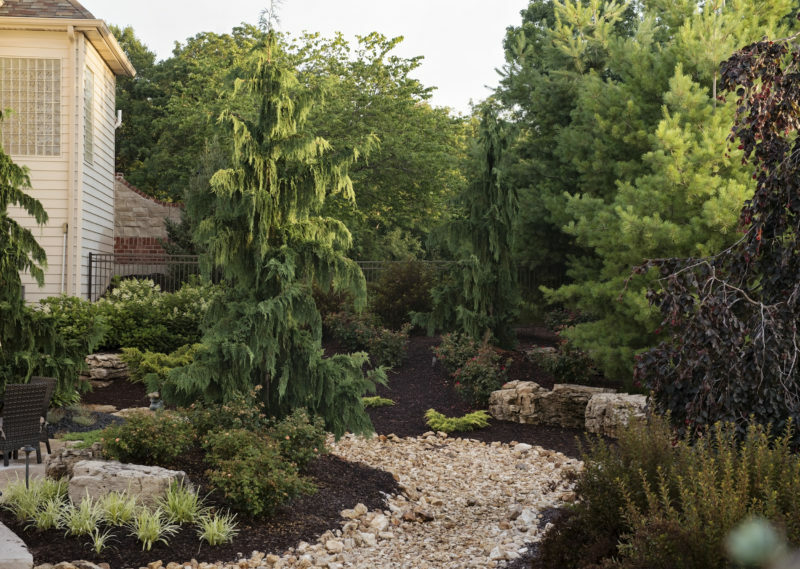 A dry creek was designed to beautifully weave through the landscaping while controlling drainage. This outdoor living space can be enjoyed year-round, giving the homeowners no need to travel for an outdoor escape. 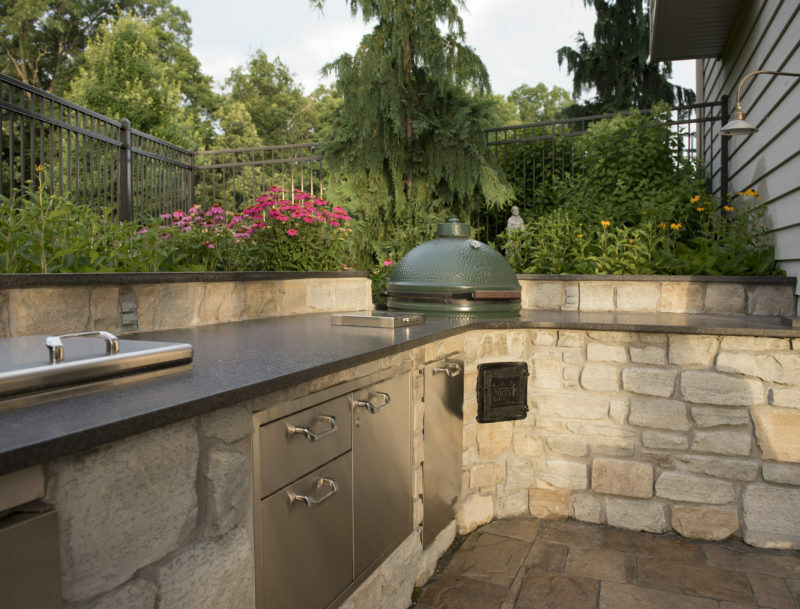 Perennials, evergreens, and annuals help give the space life through every season. Frisella Nursery is a full-service land care company, specializing in creating, building, and maintaining beautifully unique outdoor environments in the St. Louis area for 65 years. Our customers enjoy learning about and selecting plants at our 30-acre garden center, cafe, and retail store in Defiance, MO. The Home Builders Association of St. Louis and Eastern Missouri began in 1934 when seven builders started the Builder’s Guild. In the eighty-plus years since, the HBA has grown to over 600 members and is one of the most active local building industry associations in the country. The HBA is responsible for the geographic areas of St. Louis City and the Counties of St. Louis, St. Charles, Jefferson, Lincoln, Pike, Montgomery, Franklin, Warren, and Washington.